Dr. Joanne Bay Brzinski and Mr. Theodore Anthony Brzinski, Jr.
Dr. Richard L. Duszak, Jr.
Dr. Hugh G. Murray, Jr. 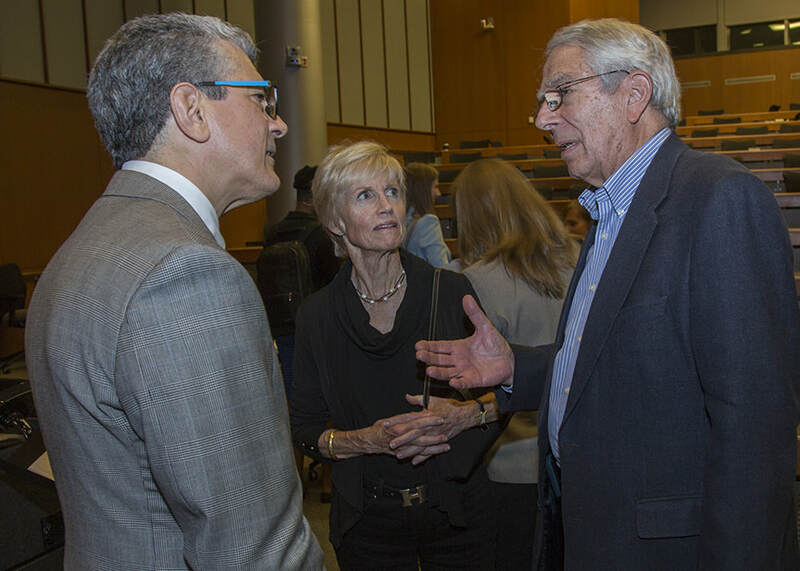 Alumni, colleagues and guest fellowship at the department's annual Heinz S. Weens Lecture. If you wish to discuss support for our department with a member of our development team, please contact Ashley Michaud at 404.778.1250 or ashleymichaud@emory.edu. To learn more about charitable giving opportunities, please visit this page.